The topic of information literacy has become very prominent and entrenched in the United States, and the nursing industry is no exception. The importance of having strong literacy in how to collect and decipher information, including the computer literacy that is often necessary to facilitate this collection, is extremely important in so many facets of life and perhaps the two most poignant and enhanced examples of this are the educational and career sectors of life. The United States has made a seismic shift towards service and knowledge-based work sectors and people that wish to become part of the latter need to have extremely strong information literacy skills. Strong working knowledge of computer internet technology goes hand in hand with information literacy. One question posed to the author of this paper is whether or how computer, information and informatics literacy are linked together and related. They are inexorably related, but there are a few distinctions and descriptions that should be delivered on the subject to clarify it. Information literacy is at the highest level of the three and truly encompasses all of the sub-tasks and portions that compromise information literacy as a whole. Computer literacy and informatics literacy are subdivisions of the broader topic of information literacy. Information literacy is the overall ability to recognize when data is needed and there is an understanding how to properly harvest and use that information to address the need that precipitated the need for the information in the first place. As an example, part of this assignment required the author of this paper to find at least ten resources to cite throughout the text of the paper. 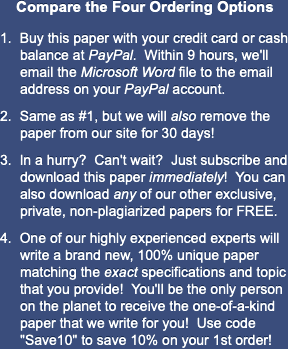 The author of this paper had to recognize this requirement, know how to get the resources required and how to properly integrate into the paper. Integration would include proper citations, interrelating the research material and facts with the analysis and clarifications in the paper, and so forth. The skills necessary to accomplish this include a literacy in how to use academic search engines, how to properly give credit to the authors of the research, and how to present all of the above in a coherent and cogent manner. Informatics literacy and computer literacy may sound like they are the same thing to some people. They are similar in that they both relate to the broader topic of information literacy and they both relate to computer hardware technology, but they are most certainly different. Computer literacy is even different that internet literacy. There are no doubt a lot of people that can bust out a word processing document or Excel spreadsheet in a hurry but are less than adept at navigating the internet. This distinction is no less relevant when comparing computer use to the overall topic of informatics. Computer literacy is mostly limited to the effective use and harnessing of a computer as an individual device. One could certainly lump in Internet use as much of this is mostly limited to the computer itself but the same cannot be said of informatics. When speaking of informatics, one is talking more about the network, database and other computer infrastructure that goes into running any business or other operation and hospitals are certainly a good example of that. Knowing how to run an individual workstation in a hospital would be an example of computer literacy but knowing how all of the databases, network equipment and other it resources interact and work in relation to each other is informatics literacy. Knowing how to log into a workstation effectively is an example of computer literacy. Knowing how to query a database server when looking for patient records and when and how these records are maintained and updated in the system is an example of informatics literacy. Obviously, they all feed off one another and one really can't have one without the other three as it relates to being an effective and informed employee, manager or executive. The minutia of informatics is generally not something most people need to know and can be exceedingly complex, but the overall best practices and procedures relative to informatics and how they apply to end-users is indispensable and necessary to know. Knowing how to program a database server is not something the average nurse would ever know or need to know. However, knowing how to properly use the database and having a general understanding of how the system operates and works is an entirely different story. The point in which a young student gets to use and learn a computer's functions and operations is usually at a rather young age. However, this is by no means monolithic and can vary a lot even from city to city and state to state in the United States. There are a lot of factors that can influence this. The first is the geographical location. Whether it be because of common lifestyle and cultural components or more a matter of the terrain and information technology infrastructure of an area, the degree to which a population embraces and takes the trouble to teach or learn anything related to computer or information literacy can be driven by a lot of voluntary and involuntary societal and cultural factors. An example of an involuntary state of affairs would be inner city families and schools who would love to buy and use computers and teach students about them but do not have the monetary resources to purchase such items because purchasing much more essential items like pencils and books is trouble enough. This holds true for both the school itself and the homes in which the students live. This stands in stark contrast with people that live in more affluent or at least middle-class neighborhoods that can take much more advantage of the fact that the prices of computer hardware has dropped significantly since the technology became prevalent in homes starting in the early 1990's. These price drops have aided the ease in which lower-income areas and schools can accumulate this same technology but there is still a massive drop-off in the quality and prevalence of the technology and the aggregate skills and learning of the people involved is very different. An unfortunate component of this dimension is that a lot of the people that miss out are minority students who are already behind the proverbial "eight ball" as it is. That all being said, kids as young as kindergarten level are being actively introduced to computer technology and this is being used to create and reinforce information literacy skills. This is often mirrored in the home as many families have computers in the home and they actively embrace their kids using and learning this equipment so long as the learning is constructive and free as possible from the underbelly of the Internet. The author of this paper recalls that when he was a student, there might be a computer in a room or there might not be. Even if there was, it was not widely used as a tool for learning. The author of this paper did not use computers in school on any sort of a consistent basis until the author reached high school. Nowadays, it is quite clear that computer and Internet technology are pervasive in schools as compared to twenty or even just ten years ago. Informatics literacy is something that probably doesn't happen for most people until high school at the earliest, even in the modern day. Many people do not get the necessary informatics skills until they reach college or otherwise engage themselves in learning about the topic after they have concluded high school, whether they attend college or not and/or use college as a means to become literate in informatics issues. Being literate in information, computers and informatics can be life-changing in its scope and effects. Not having any demonstrable literacy skills puts people behind the curve in so many ways, and career concerns are just one of the many of those. Even interactions between friends can be stunted and lacking if a person is not up to snuff on their literacy skills. The dimensions of life that can be affected include knowledge and recognizing of current events, the ability to thrive and succeed in education including high school and beyond in particular. "Theoretical Future Direction." 14 September 2012. Web. 22 April 2019. <https://www.essaytown.com/subjects/paper/theoretical-future-direction/5860479>. "Theoretical Future Direction." Essaytown.com. September 14, 2012. Accessed April 22, 2019.